Please take time to complete the survey. This highlights the demand for facilities, much like skate parks, golf courses, soccer fields, basketball and tennis courts to name a few facilities. Demand for recreational and sporting facilities for MTB are currently un-met nationally let alone within the Blue Mountains City Council LGA. BMORC is assisting NPWS with some pruning on the Oaks singletrack and we would like to let other riders know that sections on the singletrack will be closed off on Saturday, 4 June 2011 from 9am. The plan is to close one section at a time so riders still get to ride parts of the singletrack on the day. Firstly, apologies for the lack of information that we have been sharing with Blue Mountains Riders of late. We understand not everybody has time to browse the www.bmorc.com website, however, this is always the best source of up to date information. Apologies for the extreme short notice, however BMORC and NPWS/DECCW have banded together to organise our first joint trail care program in the Blue Mountains, focusing on the single track at the Glenbrook end of the Oaks. The theme is adventure conservation with BMORC sharing space with the Friends of the Colo (FOC), Nepean Bass Fishermen and local Aboriginal Bushcare and Community groups, along with NPWS displays. Today at 5pm Blue Mountains Gazette will be reporting on the installation of the gates at the mid point on the Mitchells Pass. Micheal Cleggit from the gazzette has requested a few riders to attend to be in a photo to appear in the paper. If you are able to make it that would be great, no gaurentee that you will be in the photo as he only needs 3 but if it is oversubscribed then that's not a bad thing. Last week BMORC reps met with Tina from NPWS to talk about the existing Oaks Single track (aka Twitter Trail), how to improve on safety and erosion control. It was decided that our first priority would be pruning back the eye whipping branches. This improves user safety. The rider will be able to keep an eye on where they are going with an improved line of sight and not need to keep ducking. BMORC will be assembling a small team of volunteers to work with NPWS. There are many items on the agenda and future discussions will be taking place. NATIONAL mountain bike champion Danielle Beecroft has been forced to travel to the Central Coast to train after the closure of downhill bike tracks at East Blaxland and Mt Riverview. The 16-year-old from Londonderry won the under-17 4X and open pump track events at the national titles last month. But travelling to Gosford on a weekly basis does have its downfalls. “I’m devastated because it was so easy to go and train up there (in the Lower Mountains) all the time,” Beecroft said. Western Sydney Mountain Bike Club downhill vice-president Steve Humphreys said the decision was made too hastily by Blue Mountains Council. “The council made the decision based on an illegal track made by some minors after a group of residents protested,” Humphreys said. 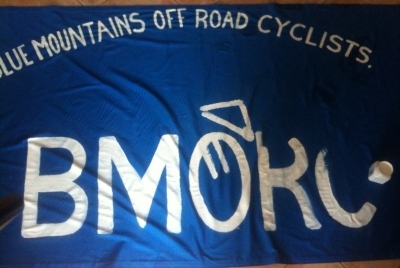 “There are no legal tracks in the Blue Mountains Council area for riders to train. It has very much affected riders and rangers are now getting quite active and fining riders who are caught in the areas. Time : 10.00am	Lunch will be provided. 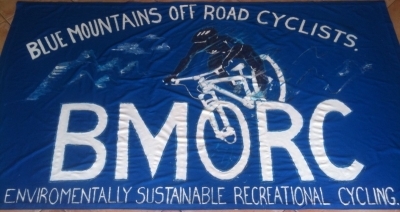 Hi BMORC viewers and guests It has been brought to my attention that there has been some illegal trail construction taking place in the Blue Mountains council area. As the group are well aware we do not endorse illegal trail building activity and I would call upon all active members to be vigilant if you hear of anything like this going on. Let us know so we can follow up. I am led to believe that this activity is taking place in an area that is signposted "no riding" so these individuals are clearly flouting the council bylaws. Well it is one year now since the fatefull council meeting in Katoomba when the Business Paper presented the plan to formalise a part of the trails at OBR and close the trail at Nichol's Pde. It seemed a reasonably good compromise at the time but the plan was resolutely squashed. There were only 8 riders there that night and we were trounced. We were disorganised and completely unaware of the opposition and disinformation that was going around. It became obvious that some kind of advocacy group was required to present a unified voice for riders, and after discussing it on the street that night the plan was to create one. Hence about a week latter at the Lapstone Hotel the BMORC was started. So in a year a lot has been done, but we are still waiting on some hard trail results. A lot of good work has been done forming understanding and relationships with some of the councillors and with the BMCC staff. We have also worked with the community to try and improve the image of mountain bikers and what the general mindset is of a rider with respect to the environment and society. We have greater communication and understanding with conservationist groups I think in both directions. Also I think we have a better riding community now in the mountains that was lacking before. Blue Mountains Gazette Article about the BBQ as well! Article from the Blue Mountains Gazette page 23 Wednesday, March 9, 2011. Well on the 26th February BMORC held a free community BBQ at Knapsack reserve to engage with local residents, schools, families, riders and basically anyone who Kingy could attract and get to talk to. We supplied maps, helped show people around and basically answered questions anyone had about what our concept is. We had contacted local schools, done a letter box drop of the neighboring residents and posted flyers up on boards. Kingy turned up with a massive pile of sausages where I thought he had over-catered like a madman yet again, but after the many hours we were there they were gone. So by the sausage counter we managed to speak to a large number of people and received some interesting feedback. Got the below invitation for volunteers for the 6 March 2011 Clean Up Australia Day. To contact me, please email me at xuela.sledge@environment.nsw.gov.au as you cannot reply to the above address. Story in the Blue Mountains Gazette about the local Muni riders, as often witnessed down at Knapsack... good going guys! As if hauling a regular mountain bike along bush trails was not challenging enough, two Blaxland men decided to ditch a wheel when they tackled a 12-hour endurance race recently. Charles Hardimon and Robert O’Brien received more than their fair share of sideways looks from fellow competitors when they took on the Jet Black Cycling race at Wisemans Ferry on the their unicycles. Despite the oppressive heatwave conditions, coupled with the obvious challenge of staying upright on the unpredictable terrain, the duo managed to complete a combined distance of over 100km during the two six-hour blocks of racing. Charles said it had taken endless patience to master the unusual craft in the five years since he traded in two wheels for one. Basically a second round of meetings to be run by a facilitator nominated by conservation groups. If you went to the previous meeting in October last year you should still definately attend again. Monday 14th February 6-8pm, Springwood Country Club, Hawkesbury Rd Springwood. I picked up on this article while browsing the web for information on Platypus, after reading the article below I was thrilled to find out about a population of platypus in the Sun Valley area. I thought this would be a great opportunity to assist Tara with her campaign to address the release of sewage into Fitzgerald's creek. Vickii Lett from NPWS sent this through for the site. The bushcare group has been approached by the CMA and ABC Landline for a story on bushcare groups along the river. Bass fisherman, BMORC and WSMTB are invited. It would be good to get some BMORCers there with bikes. See the attached pdf for a printable version. Well here is the novelty cheque created be resident BMORC Picasso Kingy, for the money we generated for signage at the BBQ the other week. So next stage is organising some kind of handover to show we are serious about our commitment to the reserve and working with council. The rest of the money raised needs to be moved to other areas maybe IMBA books, tools, promotional material etc. I've been having a good snoop around your website! Sounds like a project worthy of some slush fund assistance, our pet hate is when tracks get closed and they riding access for an area takes a huge step back. Huge turn out I Lost count at 20 but a great effort by all. Lots happened on the day and that's a story in itself but I will let the boys regail all the fun bits I am here to deliver that facts! 3 Days till the big cook off! Scored an awesome drink barrel today. BMORC BBQ is nearly here will it be a success will we reach the 3000 dollar goal. Bring your bikes come down and help promote the great the healthy lifestyle, eat a few sausage sangas and hang with your mates! BMORC BBQ Bring your bikes! Things are progressing well, I made an executive decision today and purchased a pallet yes read pallet (1740 600 ml bottles) for the BBQ Saturday week. Anyone wishing to purchase a 12 pack can do so on the day for $4.00 all monies raised going to the Knapsack project. all the organisation for the day is falling into place. A big thanks to Nick Bowman from IMBA Australia for chasing up the insurance to cover the volunteers on the day. Pastoral Prime at Emu Plains for a good price on the 800 Sausages, we are cooking on the day. The good people at Bunnings for supplying the gas, BBQ and shelter.